There’s just something about the water. When it comes to living the lifestyle you’ve always dreamt of, the water has always called to you for some reason or another. Whether it’s because you dream of pulling the boat out of storage and hopping on the lake every weekend, or you simply love the refreshing aspect of living near a cool natural pool, the splendor of waterfront living sure is appealing. But there are many more perks of living near the water that you may not have originally considered. In this blog, we’ll point out a few of the advantages that waterfront living can offer for you and your family. When it comes to finding waterfront homes for sale in Lake Mary, there’s only one name you can trust to help you budget and close on time: Gitta Sells & Associates. Keep reading to learn more and contact our Keller Williams Heritage Realty team in Lake Mary today. When you live near or on Lake Mary, you can count on many days being spent out on the water. Spending those days out on the water means you will be soaking up the sun more than your average, everyday resident — largely because the lake is right in your own back (or front) yard. Now, there’s no need to go into all of the health benefits of soaking up the sun — from Vitamin D to breathing that fresh Lake Mary air — it’s easier to just find out for yourself why lakeside living is so appealing. Just think about it for a second; what’s the biggest obstacle between you and buying the boat of your dreams? Besides not having a place to store it, as it stands right now you don’t even have a place to use it. When you own waterfront property, all of your recreation prospects change in an instant. Suddenly, you have a vast blue playground right there in front of you. So go ahead, buy that boat, break out those water skis, or hop on your very own paddle board — there’s nothing stopping you from experiencing the wonders of the water anymore. There’s something about living on or near a body of water that is just so soothing. Picture stepping out on your front porch every day and watching as the sun slowly crawls up above the glimmering horizon. Or, just imagine what life would be like if you were able to take a nice, cool stroll around the block — which just so happens to have a bright blue body of water surrounding it. Want to beat the heat? Just hop, skip, and jump a hundred feet away and hit the water for a relaxing soak. All of these reasons and more just further make our point that waterfront living is second to none for happiness and stress relief. When searching for waterfront homes for sale in Lake Mary, don’t let yourself miss the boat — literally. While it may seem like a farfetched dream, the reality is that our trusted real estate team can help you get settled into the lakeside home you’ve always wanted. Browse our listings and give us a call today. There are many advantages of living by a body of water, whether it be the ocean or even just a simple watersports hub like Lake Mary. 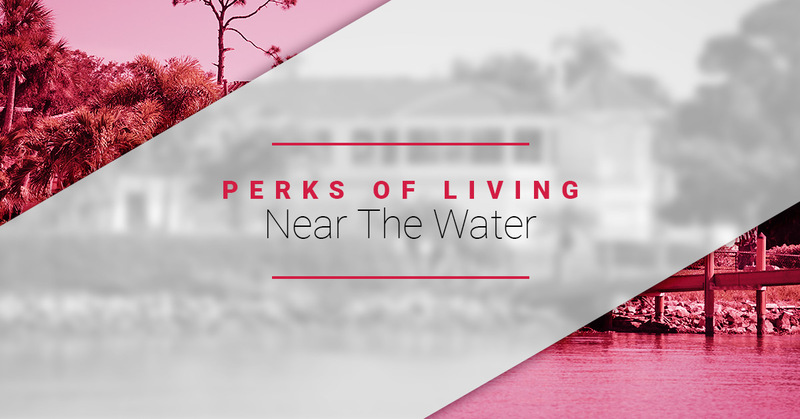 Read our blog to learn a few perks of living near the water, and contact the Lake Mary real estate team of choice at Gitta Sells to find your dream waterfront home today.